Although initially developed for use in business and industry, quality improvement (QI) methods are proving to be effective in improving public health programs and practices. At the same time, however, the lack of QI capacity within the public health workforce remains a challenge. These training tools are intended to help the MCH workforce improve Title V programs and further advance health transformation, no matter the form it takes. While many of these learning opportunities focus on the Affordable Care Act as a model, lessons learned can be applied in multiple settings and with multiple plans. One of the major goals of the MCH Training Program is to generate and translate new knowledge for the MCH field in efforts to advance science-based practice, innovation, and quality improvement in MCH training, practice, and policies. Developing and improving measurement and reporting methods; encouraging collaboration and innovation; and supporting a culture of quality improvement that values staff training; and identifying tools and resources to help grantees address emerging health issues are examples of activities that support this goal. Take a minute to provide feedback on this Spotlight. These trainings support the National MCH Workforce Development Center as it offers state and territorial Title V leaders training, collaborative learning, coaching and consultation in implementing health reform in four core areas: access to care; quality improvement; systems integration; and furthering change management that will lead health transformation for MCH populations. Also see the Health Transformation Portal for additional resources. Quality Improvement in Public Health: It Works! This booklet discusses the fundamentals of quality improvement; the use of standards to drive quality improvement; and examples of successful models. Date: 2012. Source: American Public Health Association. Quality Improvement Quick Guide Tutorial. This user’s guide and tutorial is intended to assist public health practitioners in determining which resources to use as they pursue QI initiatives. It offers a gateway to hundreds of resources. Date: 2010. Source: Public Health Foundation with support from the National Library of Medicine. Length: 10 minutes to complete QI User Guide; 20-30 minutes to complete Tutorial. Communication Science: Translating Research for Policy and Practice. This presentation describes the rationales behind and barriers to taking action to ensure that public health science is communicated beyond academic journals and applied to efforts to improve health for individuals and populations. Date Developed: June 2013. Source: Women’s and Children’s Health Policy Center, Johns Hopkins School of Public Health. Presenter(s): Marjory Ruderman, MHS. Type: Video Slide Module. Level: Introductory. Length: 19 minutes. Developing Performance Measures. This webinar provides practical guidance on selecting and constructing strong performance measures. Date Developed: 12/03/2013. Source: National Network of Public Health Institutes. Presenter(s): Tom Chapel and Clay Cooksey. Type: Narrated Slide Presentation. Level: Intermediate. Length: 90 minutes. Implementing and Sustaining Continuous Quality Improvement in an Organization. The purpose of this course is to build awareness of quality improvement (QI) and how it can be used in public health to “work smarter, not harder.” The course describes how QI can work in governmental public health and how course participants can advocate for QI in their own organizations. Source: Upper Midwest Public Healtah Training Center, The University of Iowa. Type: Online course. Level: Introductory. Length: 60 minutes. Session One – Monitoring & Evaluation: What? When? Who? Date Developed: 2012. Source: South Central Public Health Training Center. Presenter(s): Francoise Grossman, RN, MPH. Type: Video Slide Module. Level: Introductory. Length: 120 minutes. Session Two – Program Description and Logic Model. Date Developed: Unknown. Source: South Central Public Health Partnership. Presenter(s): Francouise Grossmann, RN, MPH. Type: Video Slide Module. Level: Introductory. Length: 120 minutes. Session Three – Process Evaluation. Date Developed: Unknown. Source: South Central Public Health Partnership. Presenter(s): Francoise Grossmann, RN, MPH. Type: Interactive Modules. Level: Introductory. Length: Self-paced. Session Four – Outcome Evaluation. Date Developed: Unknown. Source: South Central Public Health Partnership. Presenter(s): Francoise Grossmann, RN, MPH. Type: Interactive Modules. Level: Introductory. Length: Self-paced. Introduction to Program Monitoring and Evaluation in Maternal and Child Health: Session Five -- Data Collection. Date Developed: Unknown. Source: South Central Public Health Partnership. Presenter(s): Francoise Grossmann, RN, MPH. Type: Interactive Modules. Level: Introductory. Length: Self-paced. Introduction to Program Monitoring and Evaluation in Maternal and Child Health: Session Six -- Analyze and Disseminate Findings. Date Developed: Unknown. Source: South Central Public Health Partnership. Presenter(s): Francoise Grossmann, RN, MPH. Type: Interactive Modules. Level: Introductory. Length: Self-paced. Measuring the Return on Investment in Maternal and Child Health Programs. This webinar presents three case studies that explain how to show return on investment (ROI) using different analysis types. Date Developed: 10/17/2013. Source: U.S. Maternal and Child Health Bureau. Presenter(s): Scott Grosse, PhD; Stephanie Lee; Ricardo Basurto-Dávila, PhD, MSc. Type: Webinar Archive. Level: Intermediate. Length: 90 minutes. Life of a Benchmark (and Benchmarks for Real Life). 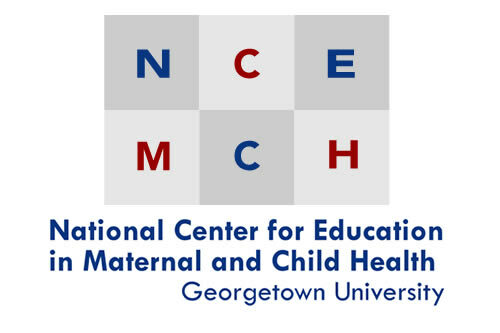 This webinar examines lessons learned from Oregon’s experience with the Maternal, Infant, and Early Childhood Home Visiting (MIECHV) program and principles that can be used for selection and use of performance measures. Date Developed: 12/12/2013. Source: Northwest Center for Public Health Practice. Presenter(s): Kathleen Anger, PhD. Type: Video Webinar. Length: 60 minutes. Utilizing LEAN Processes for Quality Improvement in MCH. This slide show presentation focuses on the LEAN process of maximizing value while minimizing waste in efforts to improve the quality of MCH programs. Date Developed: February 2013. Presenter(s): Karen Trierweller MS, CNM Format: PowerPoint slide presentation. Length: Self-paced. Community Health Assessment and Health Improvement Planning. Centers for Disease Control and Prevention. This website is designed to help state, tribal, local, and territorial health departments as they develop community health assessments and health improvement plans, whether for accreditation preparation, nonprofit hospital collaboration, or other reasons. Tutorials on Quality Measures. 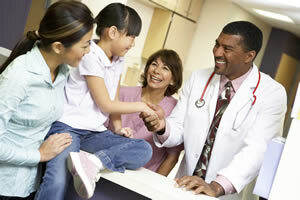 National Quality Measures Clearinghouse, Agency for Healthcare Research and Quality. These tutorials provide an introduction to the field of quality measurement and how best to use resources available from the National Quality Measures Clearinghouse. Topics include quality care measures related to health care delivery and to population health; desired attributes, uses, selection, and validity of clinical quality measures; and finding care-coordination measures. Introductory level, print format, self-paced. Quality Improvement. National Network of Public Health Institutes. New Orleans, LA: National Network of Public Health Institutes. This toolkit features a variety of resources and tools -- including presentations, samples, and guides -- on the topic of quality improvement (QI). The items are grouped into the following categories: introduction to QI, QI plans, QI leadership, managing QI collaboratives, building QI cultures, data and measurement, and QI tools and frameworks. Quality Improvement Toolkits. National Partnership for Women and Families, Childbirth Connection Programs. These toolkits provide resources for improving the quality of maternity care. Contents include resources for implementing evidence-based quality improvement strategies in hospitals, birth centers, clinician practices, and the broader health care system. QI Toolbox. Center for Public Health Quality. The QI Toolbox is a collection of resources and tools designed to be a “one-stop shopping" destination for improvement for public health organizations. Included is a QI step-by-step guide and a searchable catalog of quality improvement initiatives. Quality Improvement: Training Spotlight, 2nd Ed.